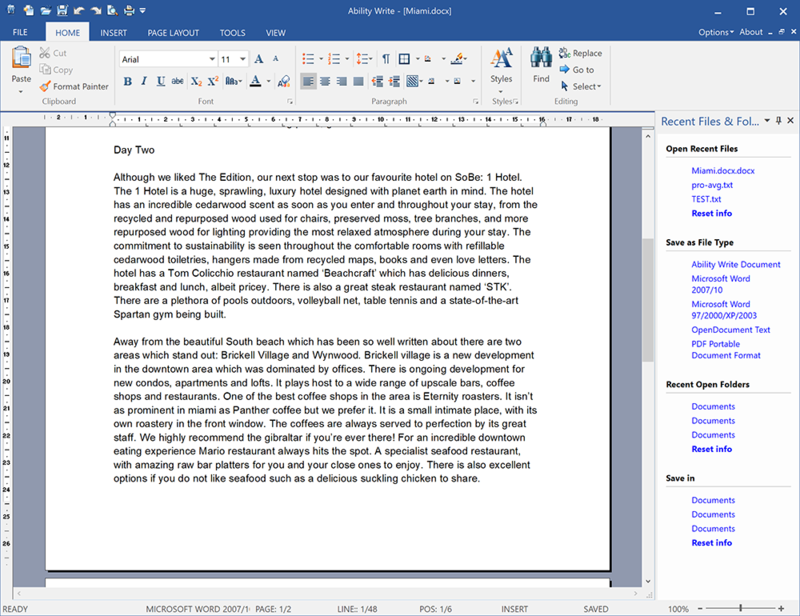 The suite's editor, Ability Write, looks and feels a lot like Microsoft Word. It reads and writes the same .DOC and .DOCX files, supports all the formatting options you need, includes vector drawing and autoshape tools, has indexing, TOC, spell and grammar checking, and can optionally export your finished documents as PDF. It's the same story with Ability Presentation, which enables you to read and edit PowerPoint presentations, or create new documents of your own. Ability Photoalbum is a bonus application, a thumbnail browser for locating, viewing and organising the images on your PC. It's a little more basic, although you do get extra tools to convert images between formats, and present them in HTML albums. This giveaway includes a one PC, one activation licence. Login (create an account if you haven't already done so), enter the magazine coupon code you can find in the December 2018 issue of Computer Shopper, then click the "Get Serial Code" button to receive your code. You can find this again in your account, if you need the code in the future. We've given you a single activation, one PC licence for Ability Office v7 Standard worth £24.99. The Professional edition offers far more functionality, including Database, which you can use to catalogue data and Photopaint, which is a fully-featured photo editor. Ability is offering Computer Shopper readers 50% off all versions of Ability Office. To obtain your 50% discount simply head to the Ability Store.